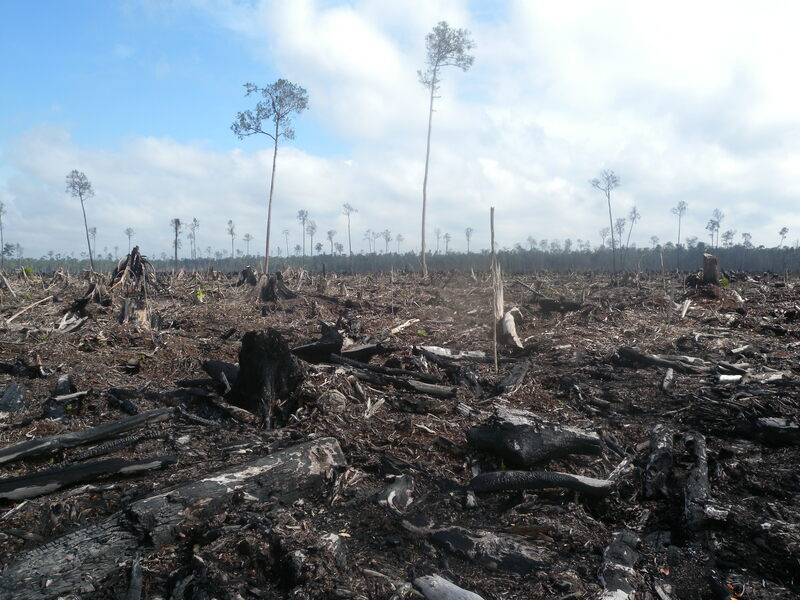 Jakarta, Indonesia – The much-touted new deforestation policy of controversial paper giant Asia Pulp & Paper (APP) will save almost no forests in its main base of operations, Sumatra, Indonesia, a new report by NGO coalition Eyes on the Forest has concluded. APP and Sinar Mas announced the policy in February as “an end to the clearing of natural forest across its entire supply chain in Indonesia, with immediate effect.” However, a new Eyes on the Forest (EoF) analysis that looks at all APP concessions – including those not covered by the moratorium – in Riau Province, Sumatra, found that the policy protects at most 5,000 hectares of natural forest. This compares to the deforestation of more than 2 million hectares caused by the operation of APP’s Sumatra pulp mills over the past three decades. Among APP’s many natural forest wood sources are the concessions of its suppliers in Riau Province. They alone lost more than 680,000 hectares of natural forest between the start of the company’s Riau pulp mill in 1984 and 2012. Of that, 77% was lost in legally questionable ways, while an even larger proportion – 83% – consumed the habitat of critically endangered Sumatran tigers and elephants. WWF called on APP and Sinar Mas to announce a forest restoration commitment. Eyes on the Forest also highlights that SMG/APP’s much advertised High Conservation Value assessments are to be conducted in concessions where planned clearing is complete and the remaining forests are already protected by law or APP’s previous commitments. “Without a restoration commitment, these assessments have little meaning,” adds Bayunanda. 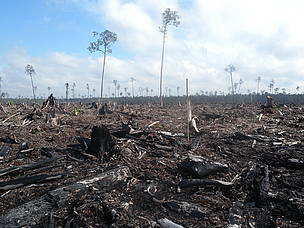 The report also shows that, despite previous company promises to exclusively pulp plantation fibre by 2004, 2007 and 2009, the company’s rate of deforestation remained constant between 1995 and 2011, apart from a short period in 2007-2009 when authorities were investigating alleged illegal logging by the industry, including APP wood suppliers. The rate slowed in 2012 – for the sole reason that there was very little natural forest left to cut. Last week, NGOs in Kalimantan, on the Indonesian side of Borneo, found continued logging of tropical forest taking place in the concessions of two APP wood suppliers, who are supposed to be bound by the February deforestation moratorium. A serious red flag to WWF is the fact that APP’s mills continue to accept and pulp natural forest timber, under the claim that it was felled before the moratorium started on 1 February 2013. WWF-Indonesia calls on APP to close this loophole since it could be used by suppliers to feed wood into the mills from new deforestation, in violation of the policy. WWF has proposed a May 5 deadline to end their mills’ acceptance of natural forest timber, allowing the company over 3 months to transport stockpiles of wood cleared before February. EoF published analyses of the report on its interactive online map, based on Google Earth’s Maps Engine platform, allowing stakeholders to evaluate some of the aspects of APP’s new forest policy and monitor its implementation. EoF will update its database regularly as information from other provinces and new details about existing concessions becomes available.